Add other values for variety and accents. Artworks that employ darks and lights have drama. What do snow, lilies, clouds, teeth, whipped cream, and polar bears have in common? If you said the color white, you’re wrong. Each is a pale color with only highlights that are truly white. When painting a white object observe that it often has warm color tints in the light with cool tones in shadow. White things pick up color reflections from their surroundings, too. They're more colorful than first meets the eye. White is essential for every palette of colors. The more opaque the white, the greater its tinting power but the more it will diminish the vibrancy of a color. White also tends to cool a color. Here are popular whites for oils, acrylics, and watercolors and an outline of their differences. Flake White: warm, dries slowly, flexible, contains toxic lead. Avoid it. TIP: Add a bit of cadmium orange to white for a sunlit feeling. Use it against cool shadow tones to heighten drama, especially in a landscape. EXERCISE: Making It All White Try creating a painting in high key (light values.) You'll become aware of subtle value and temperature relationships. Add brighter colors and darker accents sparingly. Create texture for excitement. A "white" palette produces a unified piece with harmony and appeal. When painting with white, you're working with color—however light. And if you make textural brushstrokes, you're creating shadows too, which provide more color and values. White is anything but sterile; it's colorful and dynamic. Spanish artist Pablo Picasso painted "The Old Guitarist" in 1903 during his Blue Period. The monotone painting is mainly in shades of blue. Notice how he adds a slight greenish cast to the flesh, and uses a warm neutral accent for the guitar. 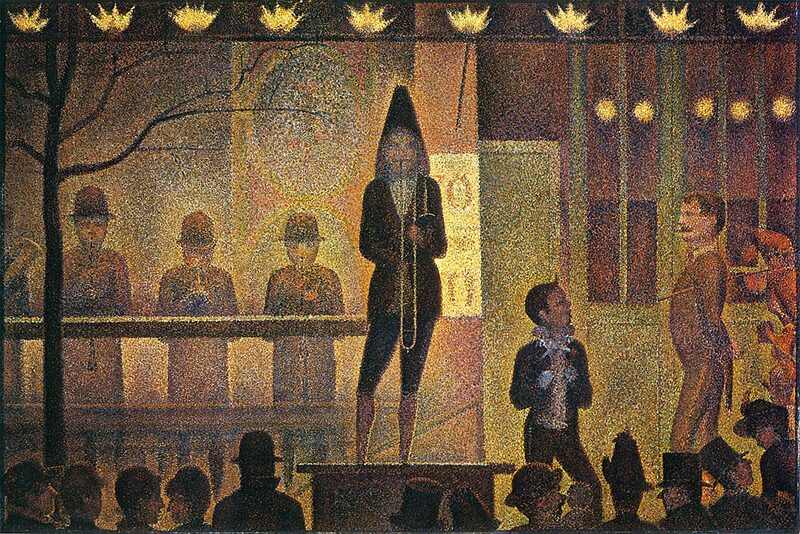 Image courtesy of wikipaintings.org.A monotone (or monochromatic) painting is an artwork painted in a single color using a range of darks, lights, and half tones to show form. The values you use are more effective than color for showing the forms of things because values tell how surfaces catch light. Old masters painted gray under-paintings, called grisaille, to establish form before adding color to their canvases. Today artists often use earth tones as a warmer alternative. For finished paintings a monotone color scheme provides built-in color harmony. However, monotones can lack vitality. Here's an approach I call multi-monotone because it uses color variations of a single dominant hue. For example, if your hue is green it would include yellow-greens and blue-greens. Blue would include greener blues and purple-blues. These color schemes are not fully analogous (colors next to each other on the color wheel) but move slightly in that direction. 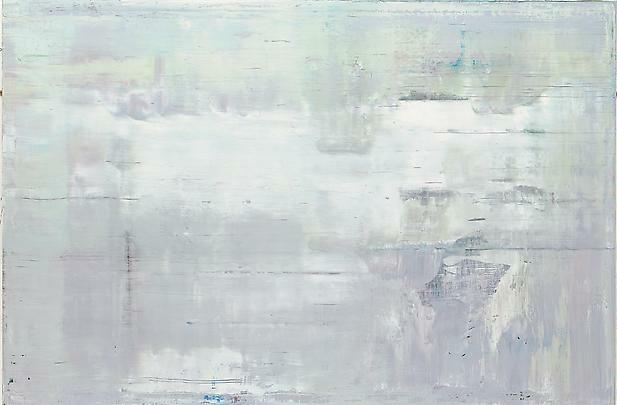 Subtle nuances of color become significant in a single-hued artwork. There are three ways to create a range of darks and lights with a single hue. Use black or umber for darkening a color and white to lighten it. With this approach your colors may be boring. Use a chosen color as your darkest dark and add white for lighter values. Note that inherently lighter hues such as yellow will lack contrast. The result with any color may lack interest, as well. For a richer approach use your color's complement to mix darks and neutrals and use white to make lighter values. This is a great approach for developing a multi-monotone piece. Try this exploration: Divide a canvas in fours and paint the same subject in each section in a different dominant hue, using the complementary color for dark and white for lights. But alter your dominant hue with its adjacent colors. You'll see dramatic differences in the moods the colors impart in each section. Beautiful color harmony is a balance between unified color and a note of excitement. I wish a healthy and happy new year to all!